Sun Koshi River rafting is one of the most popular rafting in Nepal. It is challenging + more exciting river raft in Nepal. Sun Koshi rafting commence from Dolalghat, the put-in point for the Sun Khosi River is two hours from Kathmandu and by your hotel with our private minibus. We have short practice in the river how to paddle and some commands by your guide before you leave. 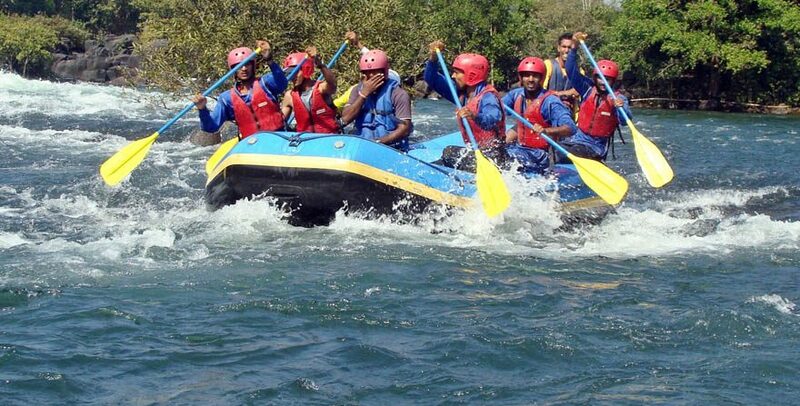 The excellent exhilarated top ten river offers tremendously exciting experience of white water rafting. The ever-changing scenery helps to ensure that every day on the river is exciting and different. The beginning of the trip sees hidgh mountains, narrow gorges, forest and small remote village The scenic river follows 270 km from rafting put in point at Dolalgaht to trip take out point at Chatra. The trip provides real taste of white water rafting and it is also photographer’s paradise. Normally, Sunkoshi River Rafting is accomplished in 8 days. Initiate your journey at Dolalghat after a drive from Kathmandu to the rafting starting point (Dolalghat). Once you arrive at Dolalghat, walk to the bank of river and take some practice sessions from instructor. Take a short briefing on do’s and don’ts during the rafting and opt for the real white water fun. Paddle as you enjoy the thrust of the river. The unpredictable nature of Sun Koshi River Rafting adds to the challenge of the river. End your journey at Chatra and walk to the nearest road for a drive back to Kathmandu. Bharal Adventure offers you this amazing package just in 8 days. Kindly check the details and the cost info.